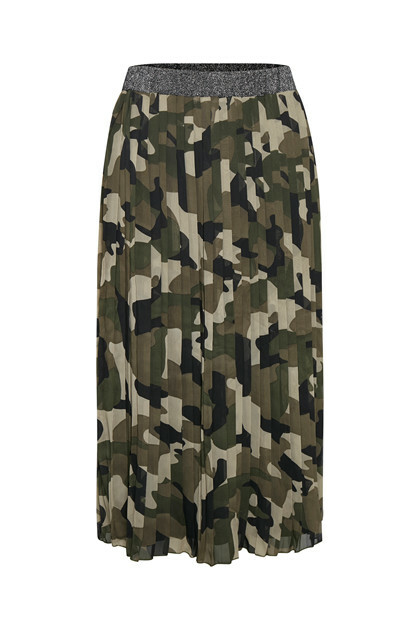 Trendy long army skirt from Culture. This beautiful skirt has a fashionable look with its army print, glittery elastic waistband and midi length. 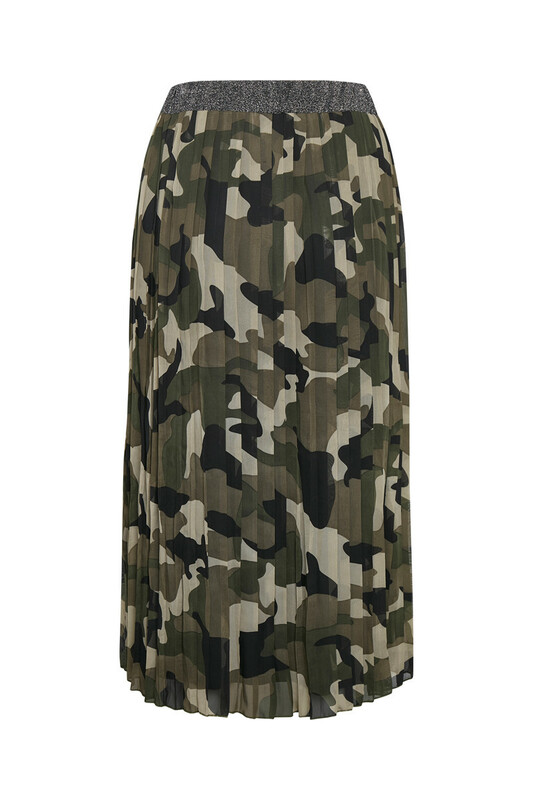 The three things create a stylish combination of the raw military look with a feminine touch. Furthermore, it is absolutely comfortable and easy to style with everything from the wardrobe. 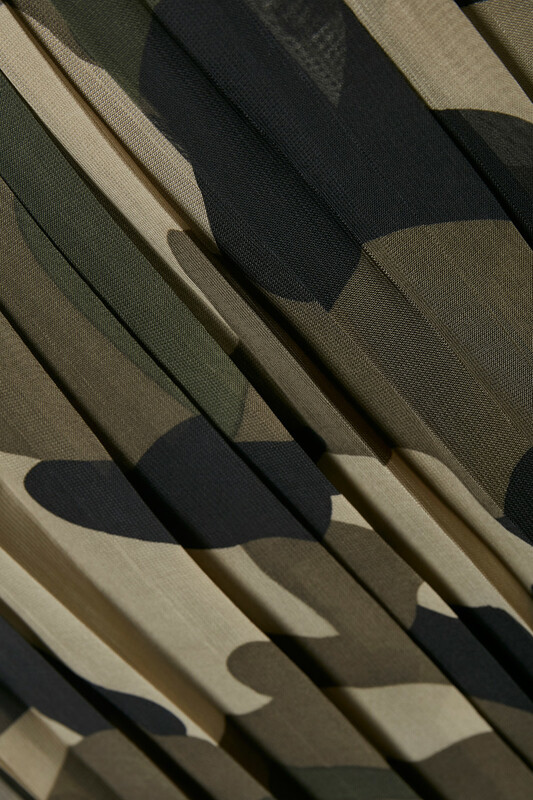 The pleated skirt has a length below the knee and is suitable for everyday use as well as festive occasions.